If you’re thinking of starting a professional or home recording studio, it’s very likely that you’ve already set foot in an already established pro or semi-pro commercial studio. But I can guess you felt intimidated if not inspired. A glance at all the studio gear used in commercial music production studios may shutter your hopes of ever owning a studio any time soon. These pro studios operate in commercial buildings and have high-end sound equipment whose total cost is enough to set up another fully ‘furnished’ semi-pro or beginner studio. But what you don’t know is that when beginning you don't need all that. Armed with a laptop, DAW, mic and a studio monitor, all under $1500, you can kick off your recording journey. Here, we will guide you on how to start a recording studio at home and pimp it into a fully functional professional recording studio down the road. But most importantly, our aim is to show you on how you can do it without breaking the bank. This is where it all starts. At this stage, the recording studio is a small setup either in your bedroom or garage. Here, all you need is just a few inexpensive items to get your feet wet. At this stage, we’ll discuss around 7 items that you’ll need to start off. This stage involves taking your studio from your bedside or wherever squeezed space it has been to a spacious and dedicated room. At this stage, you can invest in a few more inexpensive studio tools. However, the main agenda should be to give your records a real-studio feeling. That is, you don’t want it to sound as though it was recorded in a crammed up garage or bedside any longer. As such, you may want to give the dedicated room some acoustic treatment and also invest in some advanced studio furniture. Your studio may take some time to reach this stage. However, once reached, you may take it as the last stage of its life which would still be very much okay. At this stage, you may opt to continue stepping-up your dedicated-room home studio or take it to a new location especially in a commercial location. At this point, your studio gear collection is versatile to record multiple musicians at a go. This is a fully fledged professional studio mostly in commercial center. It has premium music production gear and may necessitate bringing in more sound engineers on board. So, let’s go through the 4 stages and see what happens in each. In today’s digital world, music production rotates around the computer. This is where you’ll do your music editing, mixing, recording and production. Speaking of music production computers, should you go for a laptop or a full-height tower desktop that resides permanently in your studio? For this, I would recommend sticking with what you have in hand. Laptops and desktops work in the same way, but each has its strengths and weaknesses. For instance, a laptop may be a go-to option for an artist who moves a lot while recording live. On the other hand, desktops come in handy if most of your music recording and production is done at home. The thing with desktops is that they have higher performance than laptops at the same price range. Again, desktop computers offer unlimited options for upgrading and expansion. But that does not make music production laptops less important. Some of the best studio laptops come ready for the job and don't require so much tweaking. Irrespective of which route you’ll follow, what’s important is a computer that you can rely on. Music production requires installing a DAW (Digital Audio Workstation) and other plug-ins on your computer. These software tend to be so hard on your computer and may slow its operations. So, though your old laptop or desktop may still see you through during the first few weeks or months, you’ll later want to upgrade to models meant specifically for music production. Computerized music production will involve running several tracks at the same time. There are several other applications, plug-ins, and VSTs that you’ll be dealing with at the same time too. So, a good computer should handle all these tasks without crashing or freezing with every click. A laptop or desktop with Intel Core 2 dual processor may also offer you some service as you wait to upgrade. However, it’ll be extremely slow leading to lots of frustrations down the road. For this, consider going for a laptop with Intel i5 or i7 processors. These 2 are more preferable. Your computer’s processing speed also depends on its RAM capacity. If you’re starting out with a computer with Core Dual 2 processor, ensure that it has at least 4GB of RAM space. Though the minimum RAM requirement for a good studio computer is 8GB, this capacity may not add any significant difference with a Dual 2 processor. The thing is ensuring that the Processor is at the same level with the RAM capacity. For i5 and i7 processors, the RAM should be between 8 and 16 GB. On this note, your computer needs to have lots of storage space as you’ll find out in our next item. Toshiba Satellite S55-B5280 and MacBook Air 13.3’’ are amongst the best cheap music production laptops we would recommend here. Here is a detailed write-up with the best computers for music production. One important thing worth considering is your machine’s performance. A computer that tends to get so hot can slow down the performance. You also risk frying it. Investing in a computer cooler eliminates this risk. Again, ensure that it stays updated to the latest software for optimum performance. Trust us, it pays. Read our detailed review of the best laptops for music production and the best video editing laptops. Having braced your studio computer for the best performance, the next step will be installing the music production software aka DAW. This is the software that allows you to record, edit, and mix your tracks on the computer. Its basic function is to help you deliver the ideas in your mind into a project that you can play or upload as you want. The market today has lots of music production software. The sweet spot here is that you’ll always find a version to fit your level of expertise and budget comfortably. In fact, most DAWs are available in different versions to cater for diverse markets. However, their differences also translate to a difference in prices. Some of the best DAW, for instance, Cakewalk Sonar and Ableton Live Suite may cost you several hundred dollars. But there’re also some free versions like Audacity and Reaper that can match the performance of some paid DAW. What's surprising is that despite Reaper being almost free, its in our opinion the second most recommended DAW. Note; while we're labeling Reaper "free" it will cost you either $60 or $225. But when you compare a price of $60 for a software that can match Pro Tools that cost $600. It's justifiable. The best DAW for you depends on a few factors including your budget and your style of music. It also depends on your computer and its specs. Worth mentioning, there are DAWs that are designed to run on PC only. Others like Apple Garageband support Mac platforms only. Still, there are others like PreSonus Studio One 3 and Steinberg Cubase Elements 8 that support both PC and Mac computers. Of importance, opt for a DAW that supports different plug-ins and effects. Again, for stress-free operations, ensure that your studio computer has enough RAM and storage space. Modern DAWs let you group tracks together. You can use this feature to your advantage by syncing and storing the tracks together. This makes it easy when editing since you can work on all of them as a single unit. Before getting used to your DAW, a good idea may be setting up at least 2 songs with your preferred input and output routing. This makes beginning a recording session a breeze. Once your software is ready to go, you need a device that will send signals into and out of your computer. An audio interface stands between your input gear (guitars, keyboards, and microphones) and output equipment (studio monitors and headphones).  The basic function of an audio interface is to convert analog signals from your input studio equipment into digital signals that your recording software can fathom. Upon processing, the interface receives the digital signals from your computer and converts them into analog signals before sending them to your monitors or headphones. Interfaces have other functions besides D/A and A/D signal conversion. Some also act as mic preamps, headphone amps, and monitor managers. So, what audio interface do you need when starting a home recording studio? Your ideal interface depends on the number of input/output (I/O) channels that you require for your recording projects. Audio Interfaces vary greatly in the number of channels that they offer. Professional studios may go for units that offer over 20 I/O channels. Antelope Audio Zen Studio and Apogee Ensemble are amongst the best interfaces for professional studios. But that would be a big ask for a small studio. When starting, a simple unit like Steinberg UR22MKII (2-channel interface) may be good to start with. However, if you’ll be recording an entire electric drum, you’ll need an interface with 8 inputs for the drums alone. Besides the I/O channels, ensure that your interface of choice has hi-Z inputs for your guitars and keyboards. To avoid consulting the drawing board again put your future into the equation. Do you plan to add more instruments in future? If so, consider an interface with extra Inputs and Outputs. Again, it’s important that you go for a unit that offers phantom power for your condenser microphones. But of most importance, ensure that it’s compatible with your DAW of choice. The sweet spot with these units is that they support a wide range of music production software. Even better, others come with their dedicated music software which is a plus if you’re in need of the 2. Read our detailed review of the best audio interfaces. Whether you're looking for a USB, Thunderbolt or the best audio interface under $500, we've something for you! At this point, you have a powered music production laptop installed with the best DAW. You also have the best interface connected to the computer and ready to send signals from your head into the software. So, how do you Speak Up your ideas? Taking time to understand different microphones and how they work is a huge leap towards the success of your home recording studio. Professional studio experts and sound engineers have over 20 microphones in their mic cabinets. But one thing is certain; they started somewhere perhaps switching one microphone from one source to the other. The type of microphone to start out with depends on your projects and the type of instruments that you’ll be using in your studio. For instance, if you intend to mic instruments with high SPL (Sound Pressure Level) like drums and guitar amps, a dynamic microphone like Shure SM57 is a good bet. Dynamic microphones also come in handy if you intend to do live performance recording. On the other hand, the best condenser microphone comes into play when recording vocals, acoustic guitars, drum overheads. This is because condenser microphones have an extended frequency range. Speaking of condenser microphones, you can also categorize them into either large diaphragm condenser (LDC) microphones or small diaphragm condenser (SDC) microphones. LDC microphones are known for their greatly reduced self-noise. They also capture low-end frequencies better than the SDC mics. They are good for vocals and drum sets among other uses. Audio Technica AT2035 and Rode NT1A are amongst our recommendations for the best large diaphragm condenser microphones. SDC mics are good for live recording due to their high sensitivity and wide frequency response. They are good for high-frequency sources such as stereo recordings, acoustic guitars, violins, and cymbals. You may also use them for vocals due to their incredible sensitivity. AKG Perception 170 is a good SDC mic for less than 100 bucks. As your studio develops, you may reach for the Shure KSM 141/SL and eventually for the Neumann KM 184 among other small diaphragm condenser microphones. Ribbon microphones are known for their versatility. They have extremely high SPL capabilities and sensitivity. They are ideal for vocals and miking different types of instruments. Beyerdynamic M160 and Royer Labs 121 are amongst the best ribbon microphones on the market. For live performances where you’re likely to hold the mic in your hands, dynamic microphones fit the bill. They are also rugged and won’t succumb to accidental falls easily. Secondly, put the microphones' directionality in mind to ensure that you capture sound in its most natural form while rejecting noise. On this note, you may consider going for a multi-pattern microphone that allows you to switch between several directionalities. The advantage here is that the mic can be used for different projects simply by changing the polar pattern. For small bedroom studios with no acoustic treatment, consider a microphone with a tight cardioid pick-up pattern like AKG D5 or Electro-Voice ND767A. It’ll help in isolating the primary source from unwanted noises. Pop filters are ‘nets’ placed between the singer’s mouth and the microphone. They work by lowering the speed of air before hitting the mic’s diaphragm. This reduces the occurrence of plosives caused by consonants P and B. Pop filters also capture saliva which may be corrode the diaphragm. Pop screens are not utilized on all types of microphones though. For instance, not all dynamic microphones require it. These windshields are mainly used on condenser and ribbon microphones due to their high sensitivity levels. What factors should you consider when purchasing a pop filter? The filtering material comes first. This can either be perforated metal or foam material. While they all work the same, foam material tends to capture saliva efficiently. They are, therefore, ideal for recording group vocals. Foam and Nylon materials also make the pop filter light on your microphone stand. The size of the pop filter also matters. The thing here is to capture unwanted sounds without limiting the user’s freedom of slight movements. For desktop microphones, you may consider going for a small-sized filter that won’t make it hard to position your mic. On the other hand, when recording a group, a large pop filter is handier since it has a large area. Your pop filter should also fit on different mic stands. This is a way of saving for other more important studio gear since you won’t be purchasing a new filter with a new stand. In addition, the filter should be easy to mount either on the stand or your desktops. Its gooseneck should also be flexible but sturdy so that it won’t require regular adjustments. Pauly Ton Pauly is currently the best-selling pop filter but so expensive to start with. For a small home-based studio, Nady MPF-6 and Blue the Pop are good for the money. Here is a collection of the best pop filters worth checking out. Recording a group of ambitious singers may cause lots of splosives to deal with. For this, consider going for dual-layer filters. True to their name, the purpose of these tools is to monitor your sounds. Though they resemble your home speakers in most aspects, studio monitors perform differently. They have been designed to offer honest opinions of your audio pieces without adding any appealing colorations. This means that you hear your music in its raw and natural form. This degree of honesty allows you to correct any errors before sharing your music with others. However, accurate responses don't just come from any other speaker nuanced as the best studio monitor. There are some specs and features that you also need to look into to reap the best from your monitors. First off, go for a unit with incredibly low Total Harmonic Distortion. Studio monitors with utmost 1% distortion are a good bet. On the same note about specs, a good studio monitor should offer clear feedback at frequencies between 50Hz and 20 kHz. Secondly, you’ll have to choose between active and passive monitors. How do these 2 differ? The major difference is that active monitors have built-in amplifiers while passive monitors require a separate amplifier to function. For a home recording studio, an active studio monitor is more preferable since you’ll have 1 less equipment to purchase and to operate. Most importantly, go for a pair of monitors that easily connects to your other studio equipment including the interface, mixers, and keyboards. Some of our recommendations include Presonus Eris E.4.5 and Mackie CR Series CR3. Having said so much about studio monitors, I don’t think there’s much to say about studio headphones. But you still need to understand several aspects as discussed in this studio headphones buying guide. Studio monitors and headphones work in the same way. They offer you a true response of how your audio piece is. Allow me to make this clear. Your regular pair of headphones won’t help here. You can use it to enjoy the end result but don’t use it for editing or mixing. Similar to your home speakers, your regular headphones tend to color your audio projects thereby giving them a false ‘appearance’ which is wrong. Worth noting, there are 2 major types of headphones; open-back and closed-back headphones. As the name suggests, open-back headphones have an open back. It allows the sound to spill out easily. On the other hand, closed-back headphones have a sealed back. Open-back headphones allow accurate frequency balance around the ear leading to natural responses. These are ideal for critical listening, mixing, and referencing. Unfortunately, their open-can design allows in noise. You should, therefore, use them in a quiet environment. A good example of these is the Sennheiser HD 598. On the other hand, closed-back headphones don’t allow much sound to spill out. They also don’t allow in much noise to sip in. They are the best for recording tracks and other instances where critical noise isolation is necessary. Audio-Technica ATH-M50x is a budget-friendly option for these types of studio headphones. At this stage, your room and table will appear so congested. Since you’ve already learnt a few ropes in the few months, you’ll want to move your recording studio to a more spacious room. You’ll also want to give the studio some acoustic treatment besides decongesting it. So, here are a few items that you’ll go for. We’ve arranged them in the order that they should come if you don’t have enough bucks to invest in them all at once. Worth mentioning, almost any desk or table in your home can work as your studio workstation. However, investing in a dedicated workstation should be your ultimate goal. This is because studio desks are carefully designed with your studio gear and activities in mind. These desks are crafted to hold all the audio accessories in the right place and within your fingertips. All the controls are at a good angle within your eyes sight, and the output gear (screens and studio monitors) are held at a raised position for greater visibility and audibility. Studio desks can be quite pricey with some going at over 4,000 dollars. But these high-end units are mainly for stage 4 studios. For a home recording studio, basic desks like the Omnirax Presto 4 and Ultimate Support Nucleus-Z are good desks to start with. All you need is a desk that can hold your gear while still offering enough room for control. When buying a studio desk, go for a spacious workstation that holds your items without looking congested. It should also be strong enough to hold your items without wobbling. Preferably, buy a 1or 2-tier desk that raises your monitor and studio speakers at a good level. Like any other large home equipment, it’s important that you do some prepping before the desk is shipped. If you’re moving to a new room, ensure that all painting and electrical wiring has been done before its arrival. In case you’re upgrading an already established studio, consider clearing up enough space for it. Again, after getting a roomy and convenient workstation, it’s imperative that you order for a comfortable studio seat too. As things start getting more interesting by the day in your recording studio, you’ll certainly be spending longer hours. As such you don’t want a seat that eats into your flesh. A spacious chair with a comfortable sit area, backrest, and armrest like AZ Studio’s Chesterfield Black Leather seat may be a great investment. When monitors are put directly on the desk or workstation, they transfer vibrations to the surfaces near them. These low-end frequencies make your desktop or monitor stands to act as a subwoofer. They resultantly emit false bass which isn’t in your projects. As such, you end up with plain audios with almost no bass. So, by placing your studio monitors on the isolation pads, you eliminate all false bass so you can edit your mixes as you want them to appear in playback systems. Some isolation pads have also been designed to allow you to tune your monitors’ sweet spot as desired. MoPad Isolation pads by Auralex Acoustics are amongst the most versatile units here. They offer you up to 5 different monitor positioning options. When purchasing monitor isolation pads, you need to ensure that they are sturdy enough to support your monitor’s weight. For instance, MoPad above has a weight limitation of 100 pounds. Though this is still sturdy enough for several most monitors, studios with giant speakers may opt for MoPad-xl. These are large and have high weight limit. In case your workstation is suffering from space, monitor stands might help. These are height-adjustable stands with a small table on top onto which you place your studio monitors. Monitor stands are not only meant to decongest your workstation. They also work magic in isolating your monitors from the surfaces. This reduces the transmission of vibrations making it easy to edit and listen to your mixes perfectly without resonances from other stuff. Notably, some monitor stands like Ultimate Support MS-S70 have low-profile bases that allow you to place the stand in tight corners. They also have leveling floor spikes that reduce surface contact area eliminating the transmission of vibrations even further. Placing an isolation pad between the speaker and the stand has been found to be an efficient way of minimizing vibrations. Again, the pad reduces the chances of brushing the speaker off the stand by accident. When using monitor stands on a pair of studio speakers, consider placing them far from each other. This is because they induce vibrations in between them when closed to each other. This can reduce sound fidelity and even affect the stereo image. These are acoustic energy absorbers that are designed to minimize low-frequency sound effects. Low frequencies are the best-known culprits when it comes to giving your sounds that ‘unprofessional’ feel. Unfortunately, these low frequencies are quite hard to deal with especially if you’re operating in a small room and on a budget. Low-end frequencies are long and tough sound waves. They are further strengthened by solid walls. They build up more in corners where 2 wall boundaries meet. That’s why acoustic treatment mostly starts with the corners. The way you place these traps also matters a lot. Bass traps should be positioned at 450 across a corner. This helps in trapping the bass frequencies before hitting and being intensified by the corners. This also helps in dampening and diffusing the low frequencies across the room. Foamily Foam XL and Mybecca are professional soundproofing bass traps worth checking out. They are affordable and have been designed to make it easy to position. Similar to Bass Traps, acoustic panels are made of sound-absorbing materials that decrease the sound’s intensity before hitting the walls. However, while bass traps target the low-end frequencies, acoustic panels target mid and high sound waves that hit parallel walls to create echo. The best way to reduce these echoes is by placing an absorbent panel on the walls and ceilings. An interesting feature about acoustic panels is that they can be used to add flair to your studio alongside trapping the standing waves. These acoustic panels come in different sizes and colors. They are usually flat, so you can add your custom artwork to them if you wish. AcousticART Microphone 2, for instance, is an attractive acoustic panel with an unbeatable art for your studio. However, you can also order for a plain colored panel and still give your studio an outstanding look through creative placing. So, how do you place your acoustic panels? As a rule of thumb, these panels should be positioned where the sound tends to hit the walls. A simple way of finding out these points would be to use a mirror. Sitting in your ideal listening position, ask an assistant to move along the wall holding a mirror for you. The assistant should mark the locations on all the walls where the studio monitors are visible from where you sit. Mybecca, Izo all supply, and Soundproof Store are amongst the most affordable yet effective units here. For the best results, Consider placing a thick acoustic panel on the wall behind the speaker to prevent comb-filtering. Acoustic Diffusers work in the same way as panels and bass traps. They reason we put them last in terms of acoustic treatment is because they are a bit pricey. Diffusers work by countering standing waves and flutter echo. However, they do this without eliminating the ‘live’ambiance as it is the case with bass traps and acoustic panels. This makes acoustic diffusers ideal for areas where a critical listening environment is required. The best diffusers are made of wood and can either be horizontal or vertical in shape. Arrowzoom Block Crate, ATS Acoustic Diffuser, and Kusa Handmade Difusser are best options here. YouTube also has several DIY videos on how you can make your acoustic diffusers. So far, we have a roomy and acoustically treated recording studio. The workstation is spacious enough for the few tools that you own, and the isolation gear (monitor stands, pads, bass traps, diffusers, and acoustic panels) is doing great in delivering professional projects. However, the major problem that we’re facing so far is that our studio can only record utmost 2 people at a go. Unfortunately, it’s at this stage when you’ll find yourself in need of enough gear to record bands which call for more channels. The semi-pro stage brings with it more channels that allow you to record a group of musicians simultaneously. Though it costs a fortune to fully set foot in this stage, one thing that you should you be assured of is that it pays for itself within no time. For instance, at this time, you’ll have enough gear to allow you to charge your clients hourly and also be able to clear projects efficiently and timely. So, what gear shall you be going for at this stage? As the name suggests, this is a case that holds several essential gears together. This is where you’ll fit your multi-channel microphone preamp, power conditioner, headphone amplifier, speakers/monitors management system, and an audio interface. Worth pointing out, you need not purchase all these tools at a go if you’re not in a position to. The idea is to add one item after another into the case. When purchasing your rack mount, you’ll have to choose between basic, portable, and premium studio racks. Basic rack mounts are the most common and less expensive of the lot. Griffin MD-WS993 and StarTech RK812WALLO 8U are ideal options to start with. Next, Portable Rack mounts are meant for DJs and musicians who move a lot as they record. Their versatility translates to a slightly higher price mark than our previous options. If you’re in need of these, Gator Cases Pro Series and Ultimate Support UR-6L are our best recommendations. Premium Studio Racks are the most expensive cases of all the 3 versions. Some go for several thousand bucks. This automatically kicks them out of the poor musicians’ league. However, some affordable options still do the trick. Raxxess ERK 16, for instance, offers up to 16 mounting spaces at below 300 bucks. Immediately after purchasing your first rack mount, it’s very likely that you won’t fill all its spaces at once. So, what will become of the ugly and empty spaces? A good option would be to purchase a blank panel to cover the spaces up. Navepoint IU and AC Affinity are worth a shot. Again, go for a rack mount that offers extra rack spaces. First, this helps you to plan for tomorrow. Secondly, the empty spaces allow air to cool the gear efficiently. So, what goes into the rack mount first? That’s our next item. Every studio reaches a point where there’s need to record, let’s say, a band or more than 2 people at the same time. At this point, you’ll need an upgrade if your current audio interface does not offer the required number of microphone channels. And even if the interface offers a good number of I/Os, it’s pretty sure that not all the microphone channels have a mic pre. The solution to this problem might be purchasing a multi-channel mic preamp. Is investing in an external mic preamp so important even if you have a sophisticated audio interface? While starting out, that is, during the initial stages, you need not purchase an external mic preamp. A decent audio interface is all you need. But a ‘grown up’ studio at the 3rd stage of development will certainly require one. First, most audio interfaces offer only some basic features but lack other vital features important for multi-channel and multi-instrument recording including phase reverse, pad switches, and low-cut switches. Second, most interface’s built-in preamps rarely offer over 60dB gain. Notably, some low output dynamic and ribbon microphones may require up to 70+ dB of gain. External mic preamps also offer better sound quality and help in eliminating noise. Focusrite ISA828 and PreSonus DigiMax D8 are amongst the best units here. Remember that you’ll be recording groups and bands more often at this stage. As such, you’ll require several headphone outputs for several musicians to monitor themselves simultaneously. Unfortunately, most audio interfaces offer utmost 2 headphone outs. You’ll, therefore, have no option but to invest in a good headphone amp. Behringer Microamp Ha400 is currently the best-selling headphone amp on Amazon. However, it offers only 4 headphone channels. But, if you need more outputs, Behringer Powerplay Pro-8 Ha8000 has 8 of them at a very budget-friendly price. As you continue adding more audio tools on your rack mount, there’s one vital gear that you won’t go without; A Power Conditioner. Just like any other audio expert would tell you, no studio at this stage should go without this unit. Reason; you don’t want to lose your expensive studio gear to unforeseen power-related risks. Furman, Middle Atlantic Products, and Monster are amongst the most revered brands here. Power conditioners act by consolidating all the power that you’ll be drawing for the various equipment on mounted on the rack. While some like Furman P-3600 ARG can go for as high as over $3,000, even a basic power conditioner like the M-8X2 Merit Series (below $100) does more than protecting your gear from power surges. Most power conditioners are fitted with electromagnetic interference and radio frequency interference filters. The role of the EMI and RFI filters is to eliminate almost all the noise from the power line which would, otherwise, be transferred into your projects. Having reached a point where you can record bands, your studio needs to deliver stellar projects. As such, adding more headphone amps isn’t enough. You need to know how your audios sound in different playback systems. But, let’s face it, switching from one pair of studio monitors to the other and futzing around your DAW and hardware control app is not only annoying but time-wasting. So, how would you like a compact rack-mounted unit that allows you to route your monitors, your headphones mix, and talkback system in one piece? The thing with monitor management systems is that they streamline your workflow so you can focus on giving your best to every mix without pausing midway after every minute. For these, you may consider Behringer MINI MON MON800 and PreSonus Monitor Station V2 among other high-end models. Around this time, it’s pretty obvious that cables are starting to cover your studio floors. The problem with long cables is that you’ll always have to follow a single line to locate its other end. But this can be avoided through a snake cable. Simply put, a snake cable accommodates several cables in one casing. As such, you’ll only have one cable running on your studio floors. This is a great way of keeping your studio neat and organized. There are 3 major categories of snake cables; Breakouts, Junction Box, and Dsub. Breakout snake cables are the most common. They are used to connect your mic preamp to other rack-mounted hardware like the audio interface. Junction Boxes are used to relay your preamps’ inputs to another location. Lastly, Dsub connectors, Stellar Labs 49' 8 Channel Box, for instance, can be used to replace XLR/TSR connectors since they let you connect more ins/outs connections to 1 gadget. Virtual instruments are more of sound modules. In today’s digital studios, it’s very likely that you’ll have to bring on board several virtual instruments as you make your music. Reasons? First, it’s very obvious that you can’t play and record all the instruments by yourself. And even if you were able to, it would take decades to complete your projects. Second, owning all the instruments that you require could be very expensive. That’s where virtual instruments come in. These units can emulate up to 100 instruments. Well, they may not perfectly mimic all instruments including drums and electric guitars. However, you may not realize the difference when used to replicate some instruments like pianos. In most instances, VIs are plug-ins in your DAW. However, for professional use, these instruments are packed in a single standalone mode. Before buying your virtual instruments mode, you’ll need to ensure that your system can handle it. For this, ensure that your computer has lots of free space and has fast processing speeds. You also need to ensure that it’s compatible with your DAW though this isn’t a big issue since most of them support various music software. You also want to ensure that your preferred Virtual Instruments sound good. You may check out this by listening and watching YouTube videos on your VI of choice. Steinberg Agent 2 and Digidesign Transfuser are good bets here. Once you’ve purchased and installed your virtual instruments, you’ll inevitably require a MIDI control to offer you the functions you need to utilize your VIs. While this can still be done on your computer’s keyboard, it’s lengthy, boring, and tiresome. MIDI controllers give you hands-on control over the Virtual Instruments thereby making your time in the studio enjoyable and easy. MIDI stands for Musical Instrument Digital Interface. These are devices that send commands to MIDI-equipped units including external modules and computer software synthesizers. MIDI controllers are also known as keyboard controllers partly because of their piano-style keys. Though these units don’t generate sounds by themselves, they have the capability to control other device’s sounds and other parameters. In fact, that’s their main advantage. Besides the keys, MIDI controllers also flaunt several knobs, buttons, and sliders on their face all which give you real-time control over your software. The type of keyboard controller to go for depends on a few factors including portability, the available space on your workstation, and your preferred mode of playing, that is, single or 2-handed. As I’ve just hinted, Virtual Instruments won’t replicate the sounds of all instruments perfectly. A good example here is your drum kit. Even worse, your acoustic drums aren’t always perfect. They can also be so loud especially if your music requires that you pound on them real hard. Space may also be another limitation. Fortunately, electronic drum kits offer a remedy to all these. These units have all the versatility you need to bring out a killer groove without disturbing those around you. Most of these audio tools come loaded with several preset kits, songs, and sounds. You may also get several programmable kits to help you do your thing in style. If you’re looking for space-saving electronic drum kits, Rockjam and Pyle-Pro PTED01 are worth considering. If you need sophistication and professionalism, Alesis Nitro and Yamaha DTX450K are all yours. Your studio is at its best at the 3rd stage. Very few studios step up to this final stage. But no one would dare classify them as less-professional. This is because the few units that Stage 4 flaunts don’t make such a huge difference. So, what additional units make up this stage? Your audio interface works by converting analog signals from your input instruments to digital signals that your computer can utilize. Upon processing, the interface again converts the signals back to analog formats compatible with your output tools. Well, this is all your interface does and there’s no need to spend a few thousand dollars switching that task to a standalone unit. However, if you wish, Lynx Aurora 16 is all yours. There’s an ongoing heated debate on the contributions of master clocks to the integrity of studio audios. Amazingly, only a few studio professionals use them. So, what is a master clock? Sync them into waveforms that repeat precisely and as correctly as required. This means that a Master Clock determines when an audio sample should be recorded or redone. In case the samples are not aligned perfectly, you end up with projects with wrong timing and full of clicks and pops. This leads to distortion. So, should you use a master clock? Compact project studios don’t need a Word Clock so badly. This is because the interface has the A-D converter which is the major unit in master clocks. Tests also show very little difference in audio quality. But if you want to try it, Avid Sync HD and Apogee Big Ben are worth investing in. While these 24 items may be viewed as a complete package of essential studio recording gear, do know that the journey towards a pro studio has no end. Any tool that gives your audios a unique ‘feel’ is worth investing in. Of most importance, ensure that your computer is always updated and has professional music-making DAW versions. Again, always be on the lookout for updates and new studio gear and, of course, skills.